Sue Dean has taught communication in health programs for 25 years. Her area of research is the development of empathy and compassion in health care students and practitioners. She has been awarded over $300,00 for research into empathy and vulnerable communities individually and as a co- investigator. Sue has published extensively in the area of empathy and compassion in health care students and practitioners and in 2018 Sue will be a Visiting Scholar in The Oxford Empathic Care Program, University of Oxford where she will work on developing empathy training programs and collaborative research opportunities. She will also attend Stanford University for the Cultivating Compassion Training program. 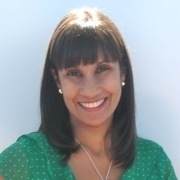 Natalie Govind BN (Hons I), RN, Grad Cert ICU Nursing, Lecturer, Faculty of Health, University of Technology Sydney. Natalie is a dual medal recipient and received an Academic Staff Excellence Award for teaching in 2013. Natalie has experience with the design, implementation and evaluation of educational programs and educational platforms both in the clinical and academic environment. Natalie's motivation includes bridging the theory to practice gap for nursing students, and enhancing employability by meeting the needs of the health care workforce through the utilisation of simulated learning. Natalie’s research interests include: simulation, patient safety, clinical reasoning, peer teaching and empathy. Natalie has published book chapters, peer reviewed journal articles and presented at professional conferences nationally and internationally. The most recent article focused on the impact of a disability simulation on nursing students’ empathy. Samantha Jakimowicz is an Associate Lecturer at UTS. She is currently coordinating the first-year clinical subjects in the Bachelor of Nursing. Samantha is a Registered Nurse with clinical and research experience in intensive care. Her philosophical outlook is based on the humanistic Rogerian model of unconditional positive regard, congruence and empathy. Samantha’s research interests lie with compassion, patient experience and nurse wellbeing. Samantha’s initial post graduate research concentrated on patient experience of nurse-led clinics and her doctoral work moved on a similar pathway focussing on patient-centredness, compassion satisfaction and compassion fatigue in critical care nurses. This program of work was mixed method research and found that critical care nurses had mid-range levels of compassion satisfaction and fatigue, rather than the ideal high satisfaction and low fatigue. Workplace, experience and tenure were predictive factors in compassion satisfaction. Nurses’ experience of compassion fatigue impacted their capacity to provide compassionate patient-centred nursing. Moments of compassion satisfaction and fatigue occurred along a continuum, keeping time with critical care nurses’ expectations being met and their ability to meet perceived expectations. A conceptual framework was developed exploring strategies to assist nurses in provision of compassionate patient-centred nursing using Bowen Family Systems Theory therapy interventions to develop positive workplace culture and enhance critical care nurses compassion satisfaction and patient care quality. Samantha has published on these topics and been awarded a Local Health District Research Scholarship Award, Vice Chancellors Scholarship, Dean’s Citation and Best Nursing Paper and Poster. Joanne Lewis is a registered nurse. She has over 29 years of nursing experience; 18 years have been in the specialty of palliative care with over a decade as a clinical nurse consultant in palliative care in Western Sydney, Australia. She is a Senior Lecturer, Director Health Programs University Technology Sydney (UTS). She develops curriculum and co-ordinates undergraduate and post graduate palliative care and aged care subjects. Joanne’s research has examined the nature and capacity of social networks and relations for people with advanced disease. Her Doctor of Philosophy degree explored the palliative care needs of vulnerable populations within a social capital framework. Joanne has led ground breaking work in social capital analysis in health populations and is a pioneer in applying social capital theory to palliative care, aged care and socioeconomic disadvantage. She has recently commenced projects to map social capital and health assets to improve social connectedness and wellbeing for people with dementia and their carer(s) and narrative writing workshops for these groups. Joanne and colleagues have recently developed a short course on Intelligent Kindness. 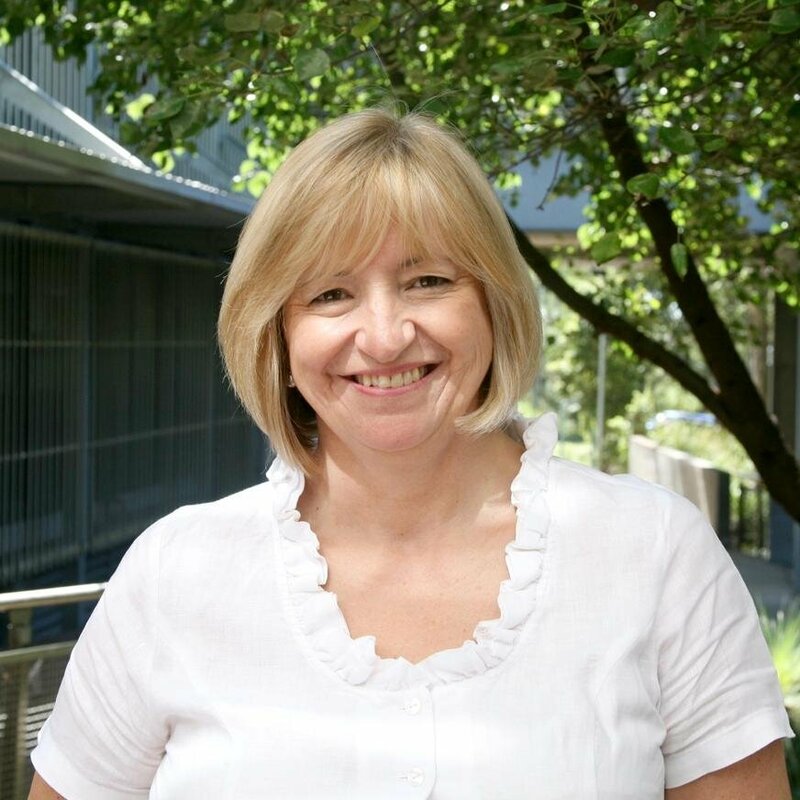 Professor Jane Maguire PhD, BN, (Hons), BA (English and Classical Literature), RN, Grad Certificate in Child and Adolescent Health, General Nursing Certificate(St Vincent’s Hospital, Sydney), Professor of Nursing at UTS since February, 2017, previous appointment at the University of Newcastle. Her expertise is in stroke genetic epidemiology research and paediatrics, with 25 years of clinical experience with paediatric and adult patients in both acute care and community based health facilities. Jane is recognised internationally as one of the leading nurse stroke genetics researchers in the world. She has ongoing international research collaborations, multiple publications and a research grant funding success track record with colleagues across the UK, USA and Europe. In addition Jane has a track record of ongoing national research collaborations, publications and research grant funding successes with colleagues from Western Australia, Victoria, South Australia, Queensland and New South Wales. More importantly, over the course of her professional nursing career and in parallel with challenging personal life experiences, Prof Maguire espouses an enduring commitment for compassion and empathy to be essential and non-negotiable central tenets in clinical nursing care. Fiona Orr, RN, PhD, MLitt, BHS (Nursing) is the Director, International Activities and Lecturer, Mental Health Nursing, Faculty of Health, UTS. Fiona’s doctoral work was a concurrent mixed methods study exploring final year nursing students’ empathy and self-efficacy to communicate with people who hear voices, using an experiential voice-hearing simulation workshop. Quantitative analysis demonstrated significantly increased empathy and self- efficacy to communicate at six month follow-up. Qualitative analysis demonstrated that the level of realism of the simulation experience aroused emotions in the participants that contributed to their understanding of voice-hearing and development of empathy for people who hear voices. Her other research interests include live simulations with people diagnosed with a mental illness to develop nursing students’ empathy and therapeutic communication skills. She received a UTS Teaching Award (2013) and an Australian Award for University Teaching Citation (2015) for transforming nursing education through innovative simulations and collaborations with health care consumers. Dr Jacqueline PICH, BN (Hons I), BSc, PhD. Lecturer, University of Technology. Jacqui Pich is a dual university medal winner for her undergraduate and honours studies in her Bachelor of Nursing. Her PhD was a national study on the experiences of emergency nurses with patient-related violence and she has presented the findings at domestic and international conferences. She is part of an international Cochrane review on education and training for preventing and minimising workplace aggression directed toward healthcare workers. She is also involved in research on horizontal and vertical violence experienced by undergraduate nurses and has been involved in studies related to empathic interactions with people who have a disability. Lynn Sinclair, RN PhD, Senior Lecturer, Faculty of Health, University of Technology Sydney. Lynn’s research interests include: infant and family outcomes following neonatal intensive care; influence of nursing care on patient outcomes; nursing knowledge in specialty practice; influence of neuroscience on leadership effectiveness, workplace relationships/culture; empathy and resilience in nursing. She has extensive clinical experience in the care of high risk newborns and their families and in the planning and coordination of neonatal services across NSW. Lynn’s doctoral work investigated the use of incubator humidity in the management of extremely preterm infants and she received a New Investigator Award from the Perinatal Society of Australia and New Zealand (2008) for part of this work. Katie Tunks Leach RN, BN, BTeach (Prim & Sec), GCCritCareNurse (Emergency), MAdvN (Education). Associate Lecturer, University of Technology Sydney. Katie is a Higher Degree Research Student, exploring how psychological and spiritual factors impact on the health and wellbeing of paramedics. Her current research explores the contribution of chaplains in the ambulance service to wellbeing outcomes for staff. Katie has been a Registered Nurse for 22 years, specialising in Emergency and Trauma nursing. After completing post-graduate qualifications in Critical Care Nursing (Emergency), she further specialised in nurse education, moving into the tertiary education sector in 2012. Katie develops curriculum, co-ordinates postgraduate nursing subjects and teaches into the undergraduate nursing program. In 2019 she received a grant to develop a wellbeing module for postgraduate nursing students. Aside from her role at UTS, Katie works as a chaplain for the NSW Ambulance Service. Nathan is a passionate, dynamic leader, educator and strategiser on the basic human trait of empathy, taking a multi-dimensional view from neuroscience, psychology, philosophy, anthropology and design. Nathan holds Bachelor of Management and Master of Business Administration both from UTS. Nathan's experience comes from a diverse professional background in Australia, United Kingdom & India including positions in strategic management, tertiary education, design-thinking innovation and social innovation start-ups. These days Nathan works as teaching/learning academic and Tutor in the UTS Business School, is co-founder of empathy-focused experiential learning program in India Drishtee Immersion, and has been facilitating and researching applied empathy since 2011 with Empathy Experiences. Aileen Wyllie is a registered nurse and midwife and has been the Director, Undergraduate Nursing and Alternate Associate Dean (Teaching and Learning) at the University of Technology Sydney (UTS), since 2012. Her portfolio responsibilities include the quality of the programs offered in the Bachelor of Nursing and the student experiences. Of importance to the programs is the ability for sound leadership, management skills and curriculum development and this has been fulfilled by membership of numerous Faculty, industry and UTS committees; including Academic Board. She has taught extensively in acute care nursing and ethics at undergraduate and postgraduate for a number of years, being a visiting scholar for UTS pharmacy students. Her research and publications interests are for an academic environment where staff and students can be clear independent thinkers and take on responsibility for their own learning. Tertiary qualifications include degrees in health personnel education and bioethics.